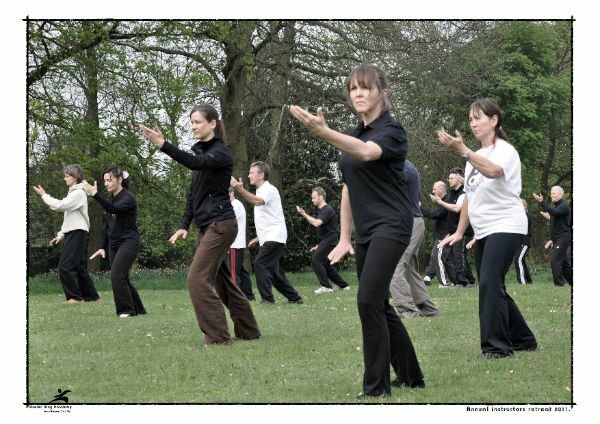 The emphasis is on building health, power and an understanding of internal energy through the study of Tai Chi Chuan's concepts and principles. 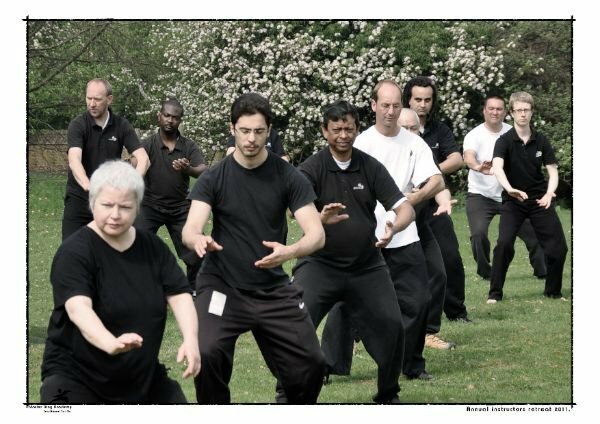 As a member, you will benefit from the unique skills of Master Ding and his instructors, who all work hard to make learning effective and fun. 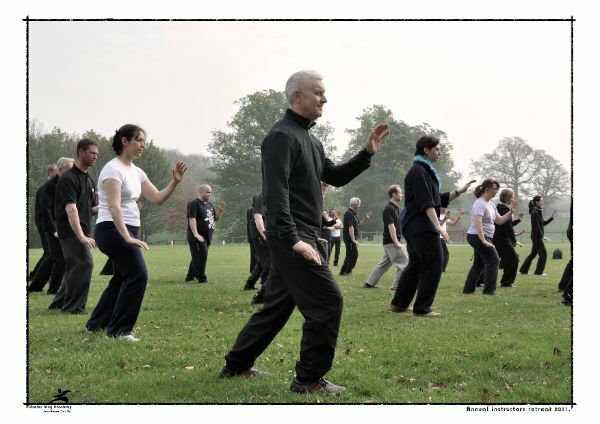 In Tai Chi, meditation largely takes the form of Chi Kung and is focused on the training of consciousness and the development of the vital energy Chi. 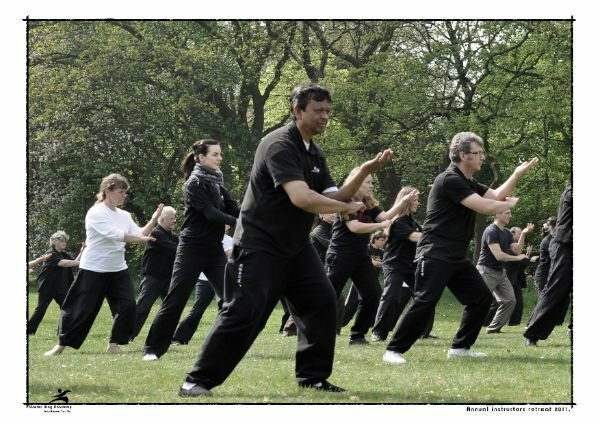 Chi Kung is the second prong of the triad that is traditional Tai Chi Chuan. 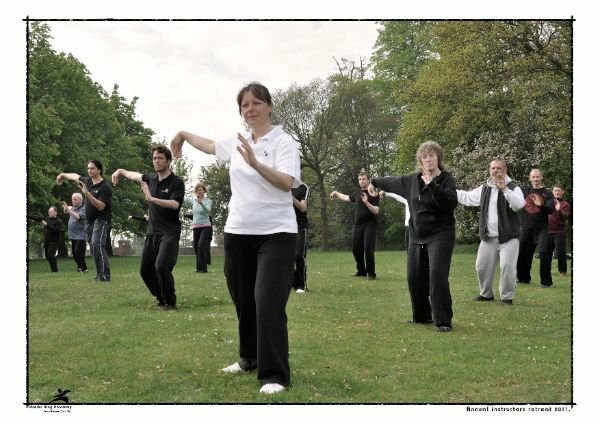 It is said that whilst the Tai Chi Chuan forms give Chi energy direction and speed, it is Chi Kung that is essential to stimulate, concentrate and develop the Chi in the first place. Apart from Chi Kung, we also used various form practices as a system of meditation. When a form is performed accurately, it radiates an image of perpetual motion within a circular frame. Practitioners are deeply engaged with their practice, unwavered by any distractions and are in a state of moving meditation - mind, body and spirit in perfect balance and harmony. Copyright © 2018 Master Ding Academy Devon. All Rights Reserved.